Click on the Loft for new YA titles ! 25 of our newest titles ! The Clarksburg-Harrison Public Library will close at 5:00 PM on Thursday, April 11, 2019. The library will reopen on Friday, April 12, 2019 at 9:00 AM. 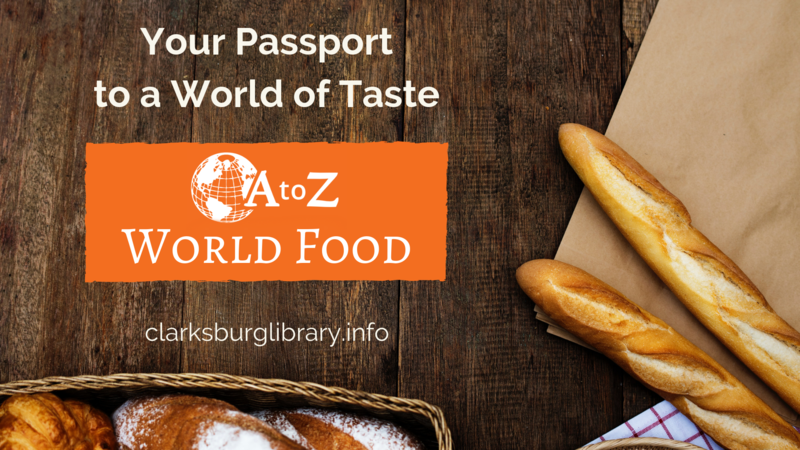 Since 1907, the Clarksburg-Harrison Public Library has served the residents of Clarksburg as a center for quality information, resources, programming, and service. Whether looking for the latest bestsellers, finding important reference materials, or discovering your family's heritage, the Clarksburg-Harrison Public Library is home to your next chapter! The Friends of the Clarksburg-Harrison Public Library will host it's Annual Dinner on Thursday, April 11, 2019 at 5:30 PM at the Friedlander's Building, 354 West Main Street, Clarksburg, WV 26301. Featuring a live performance by Denise Giardina as the incomparable Minnie Pearl. Dinner RSVP by Thursday, April 4, 2019, call (304) 627-2236 for your spot! 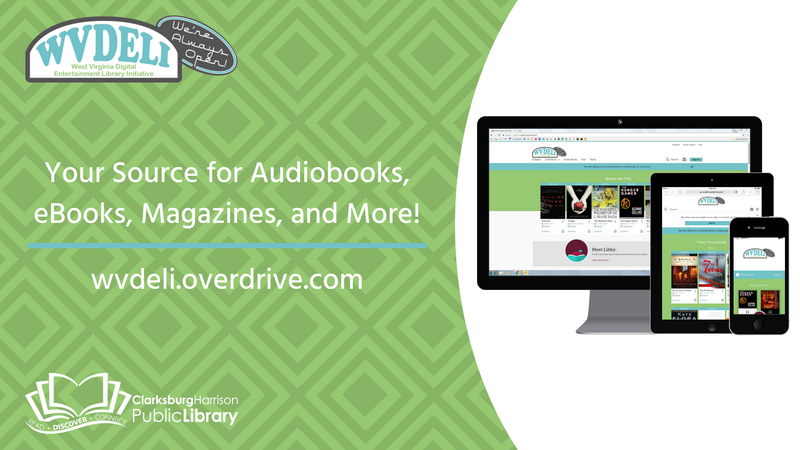 Access the latest audiobooks, eBooks, videos, and more with WVDELI! An online database of libraries across the West Virginia, WVDELI provides readers with an ever expanding collection every day! 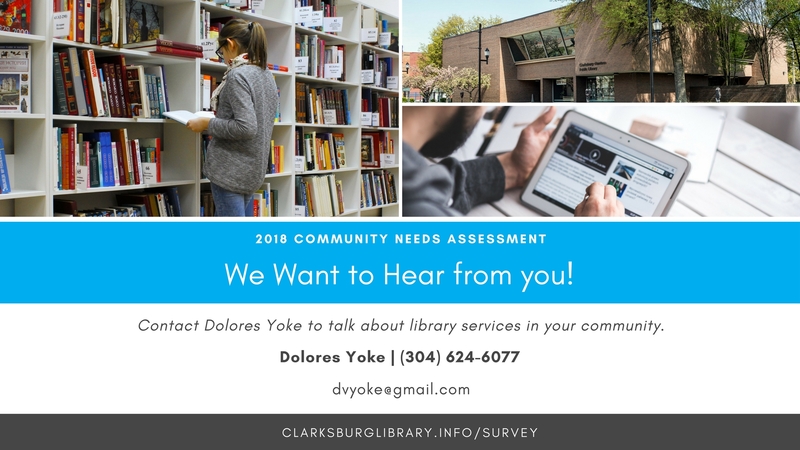 The Clarksburg-Harrison Public Library will be hosting a series of focus groups to gain insights from library patrons and community residents about the library as we plan for the future. Topics will include library services, programs and events, customer service, and more! To participate, please contact Edward Pride by e-mail at edward.pride@clark.lib.wv.us or by phone at (304) 627-2236 ext. 123. 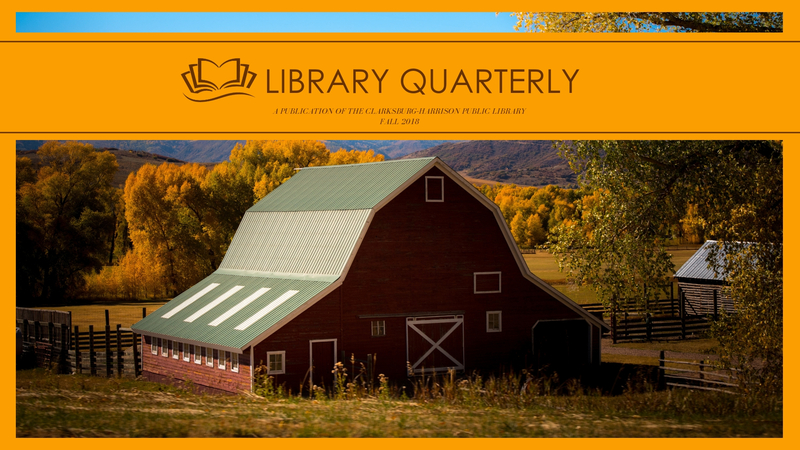 Have a look at the latest issue of the Library Quarterly! In this issue: rolling out the carpet for the new flooring project, scary Halloween reads, library events, and more! Salem and Wilsonburg Elementary School Choirs proudly present 'It's All About the Weather!' on Monday, April 8, 2019 at 5:30 PM in the Library Gallery. Under the direction of Joe Jedju. Calling all bunnies! Join the Clarksburg-Harrison Public Library for the 2019 Easter Egg Hunt on Saturday, April 13, 2019 from 10:00 AM to Noon in the Children's Library. The 2019 Easter Egg Hunt is sponsored by the Clarksburg League for Service. 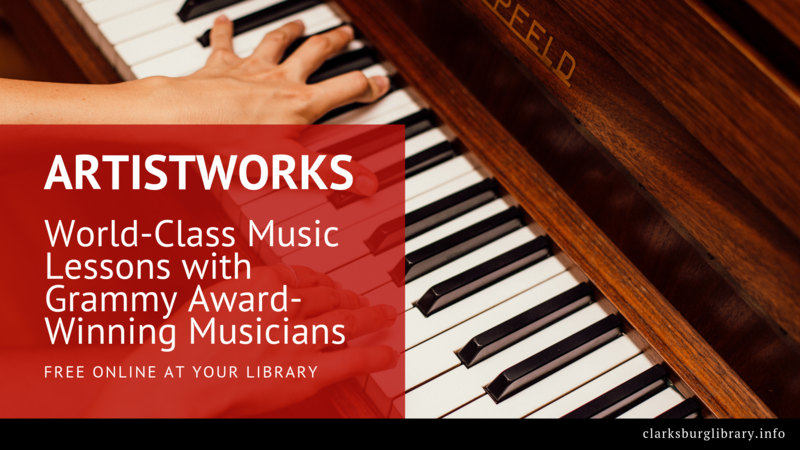 Freegal is a free music service from the Clarksburg-Harrison Public Library. All you need is your library card number! 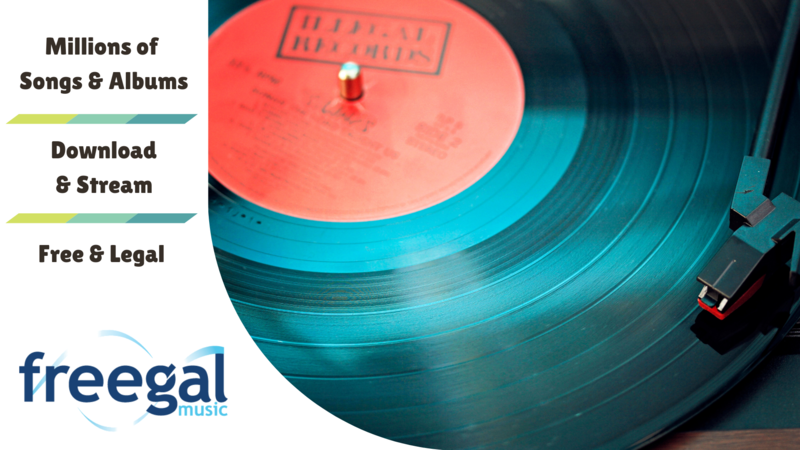 Freegal offers access to about 13 million songs, including Sony Music's catalog of legendary artists, and over 40,000 music videos. 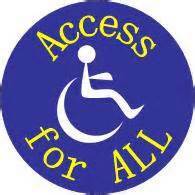 There is no software to download and there are no digital rights management (DRM) restrictions. The 2019 Author Series opens with the Spring Writers' Workshop on Saturday, April 13, 2019 from 11:00 AM - 2:00 PM at Waldomore. Featuring award-winning author and teacher Michael Knost, this workshop will guide participants through the many aspects of the writing process. Spaces are limited. To reserve your spot, please call (304) 627-2236. The Lunchtime Book Discussion will meet Thursday, April 18, 2019 at Noon in the Library Meeting Room. The featured book for March is Quiet: The Power of Introverts in a World That Can't Stop Talking by Susan Cain. RB Digital, the world's largest newsstand, offers full-color digital magazines for anytime, anywhere reading on desktops, mobile devices, and apps. 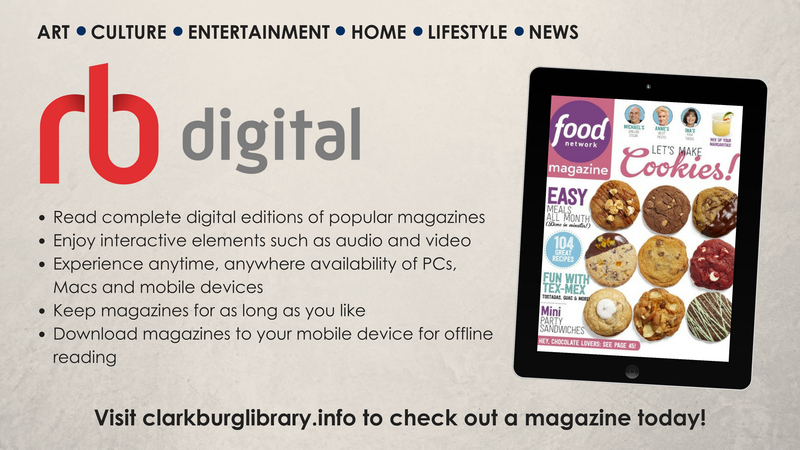 RB Digital's collection of popular digital magazines includes both new and backlist titles with no holds, no checkout periods, and no limits. The 2019 Clarksburg Community Baby Shower will be held on Monday, May 10, 2019 from 11:00 AM - 1:00 PM at Waldomore. The Clarksburg Community Baby Shower is sponsored by UniCare and the Clarksburg-Harrison Public Library. Have any comments or questions regarding library services in your community? We want to hear from you! Contact Dolores Yoke by phone at (304) 624-6077, by e-mail at dvyoke@gmail.com, or take our Patron Interest Survey online! Need help with schoolwork? 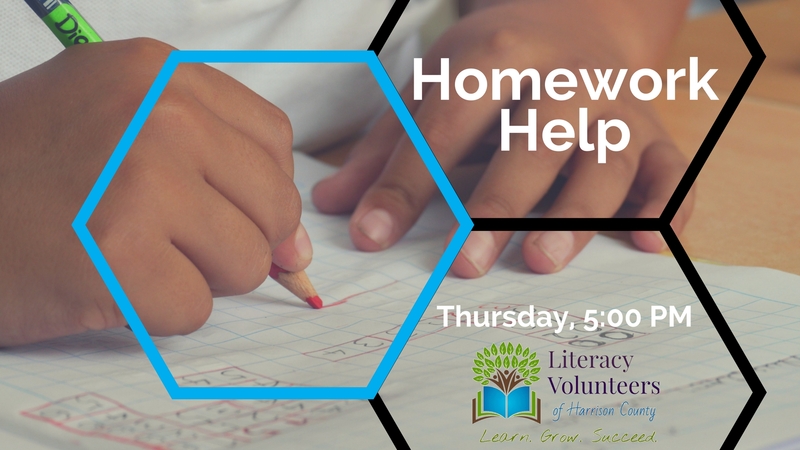 Every Thursday from 4:00 PM - 6:00 PM, the Literacy Volunteers of Harrison County will be on hand to provide students with homework help. 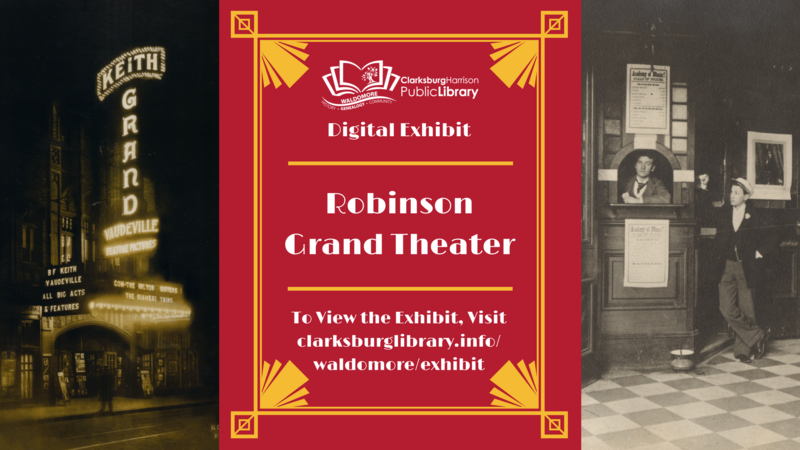 In conjunction with the reopening of the Robinson Grand Theater, Waldomore presents a new digital exhibit, Robinson Grand Theater. To view the exhibit, visit the Waldomore exhibit page. Click here to receive emails about upcoming events, new books, and reading programs at the library. Next Regular Meeting - The Clarksburg-Harrison Public Library Board of Trustees will hold their monthly meeting on Thursday, April 25, 2019. The meeting will be held at 10:00 a.m. at Waldomore.